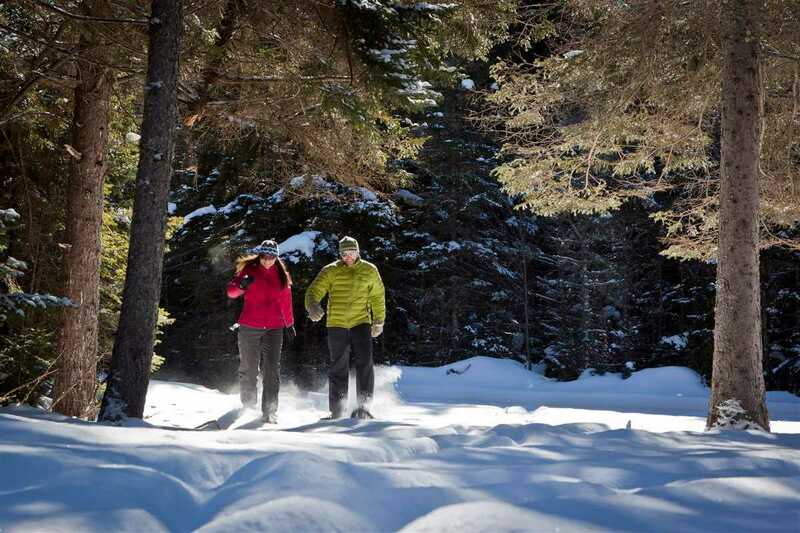 Now is a great time for a final ski break and there’s no better spot than Lake Placid. Lake Placid Airport offers pilots the opportunity to enjoy a unique winter vacation. Here in Idaho, 2014–15 is the winter that wasn’t. Most of our backcountry pilots didn’t even bother putting skis on their planes this year—no snow. It seems the West’s snow has all fallen in the Northeast this year. Now is a great time for a ski break and there’s no better spot than Lake Placid. 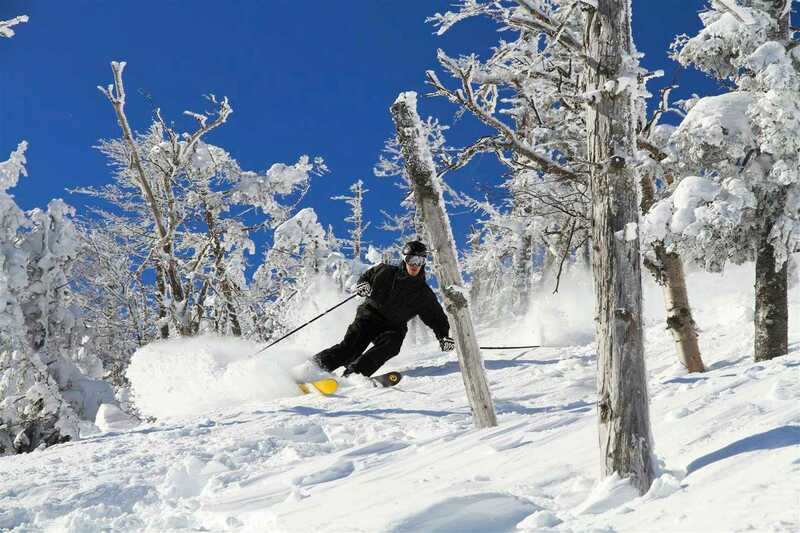 Skiers can get their fill, but there’s lots more to do: Lake Placid hosted both the 1932 and 1980 Winter Olympic Games. 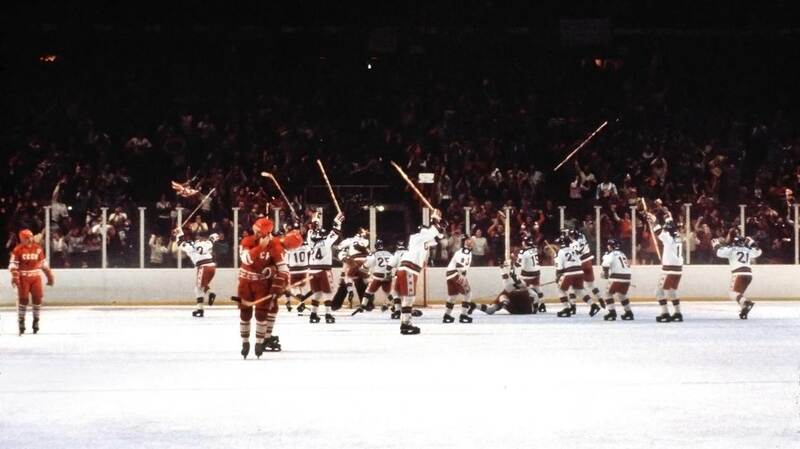 The “Miracle on Ice,” where the U.S. beat the U.S.S.R. in ice hockey, happened right here. Eric Heiden, the phenomenal speed skater, became the first person ever to win five individual gold medals at a single Olympic Games that same Olympics. 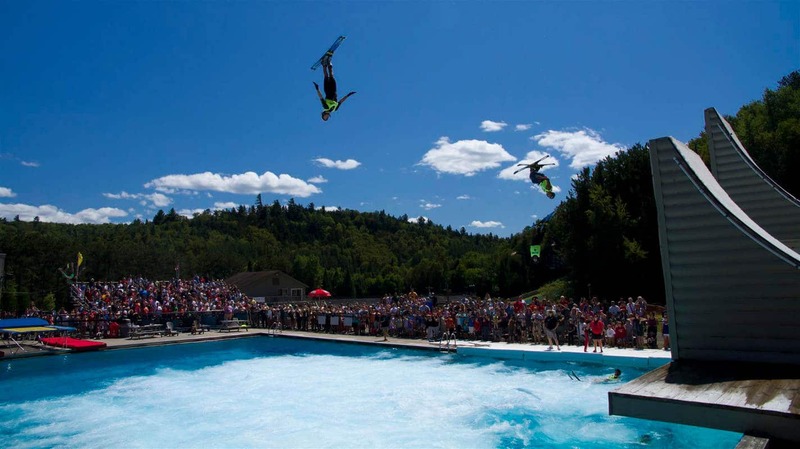 Visit Lake Placid and skate on the same rink where Heiden trained. Go up to the top of the giant ski jump, look down, and imagine what it must be like to jump off. 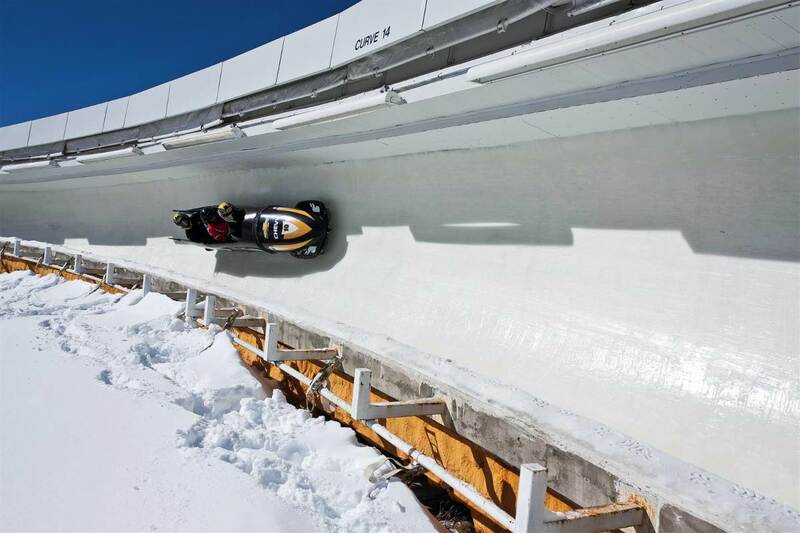 Have you ever watched bobsled or skeleton on TV during the Olympics and wondered what that might be like? You can try it yourself—right here! You’re headed out for an exciting vacation, but know that the excitement will begin even before you land. Lake Placid Airport (LKP) is in the Adirondack Mountains of northeastern New York. The mountains, so key to skiing and other winter events, will hide the airport from view when approaching from all directions except the west. The airport sits in a basin on the western foothills of Slideface Mountain. Although it has two published RNAV GPS approaches, IFR flight into Lake Placid isn’t recommended unless you’re very proficient. There is an alternate 13 nm northwest, with more benign terrain: Adirondack Regional Airport (SLK). So if the weather’s not great, you can always divert there. Lake Placid’s single Runway 14/32 is 4,196 x 60 feet and in good condition. The town operates the airport and usually plows the runway right away after it snows. Land on Runway 14 if winds and traffic allow. Landing on Runway 32 requires you to get very close to the terrain. This makes for a tendency to be high on approach, especially if you aren’t used to it. Watch for trees even when landing on Runway 14. Adirondack Car Rental is across the street from the airport will leave vehicle at the FBO with contract printed out, $40–$80 with 150 miles per day, Mon–Fri 9 a.m.–5 p.m., weekends by appointment, 518-523-9600, www.AdirondackCarRental.com Or, you can get a taxi into town for about $6; call Rick’s Taxi, 518-523-4741. 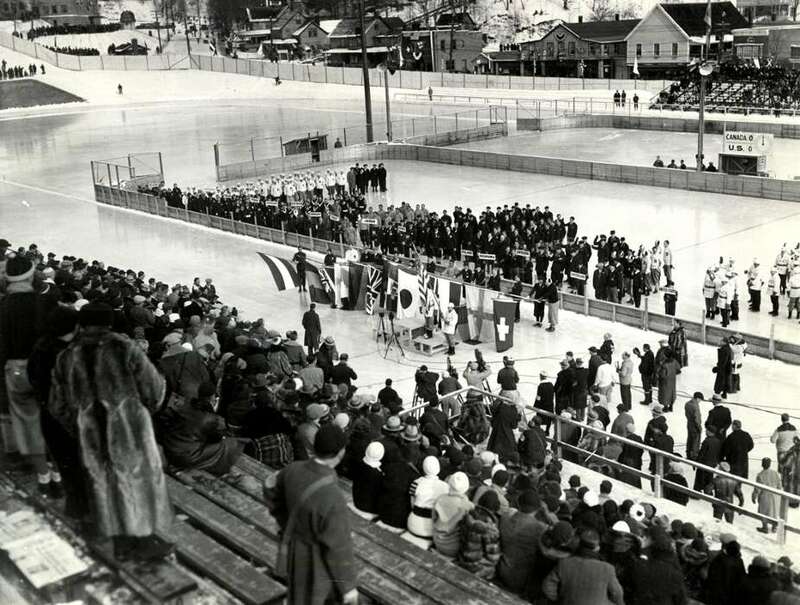 The Lake Placid area began to develop as a ski region in the early part of the 20th century, and the town was chosen to host the third modern Winter Olympics in 1932. Because this was during the height of the Great Depression, only 17 countries participated, and most of the athletes who competed were from the U.S. and Canada. Lake Placid native Jack Shea won two gold medals in speed skating. Shea’s son and grandson were also Olympians (with son Jim Shea Sr. taking part in Nordic Combined and Cross Country Skiing events in the 1964 Winter Olympics, and Grandson Jim Shea Jr. winning the gold in Men’s Skeleton Sledding at the 2002 Winter Olympics), making the Sheas the first three-generation Olympic family in the history of the Olympics. The Norwegian figure skater Sonja Henie won her second gold medal at Lake Placid. When the Olympic Games returned to Lake Placid in 1980, the Soviet Union had invaded Afghanistan. President Carter had already boycotted the Summer Olympics that year. Hungry for Olympic action, visitors nearly overran Lake Placid during the 1980 Games, and poor snowfalls forced organizers to use of artificial snow for the first time. Still, the accomplishments of speed skater Eric Heiden and the U.S. Men’s Hockey Team stand among the greatest victories in American sports history. The village of Lake Placid is compact and easy to visit. Main Street winds past the western shore of Mirror Lake. The Olympic arenas from both the 1932 and 1980 Games are on the south end of Main Street, only 1 1/2 miles north of the airport. Some of the other sports complexes are scattered around the area. 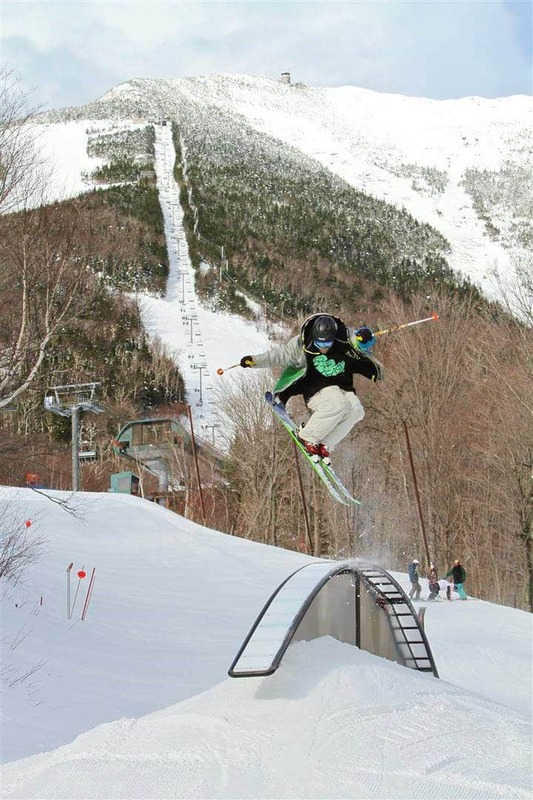 Whiteface ski mountain is about eight miles northeast of town, while the Olympic ski jumping and training complex is just south of the airport. The cross-country and bobsled courses are seven miles southeast of town. There’s lots to do at the Olympic Sports Complex. 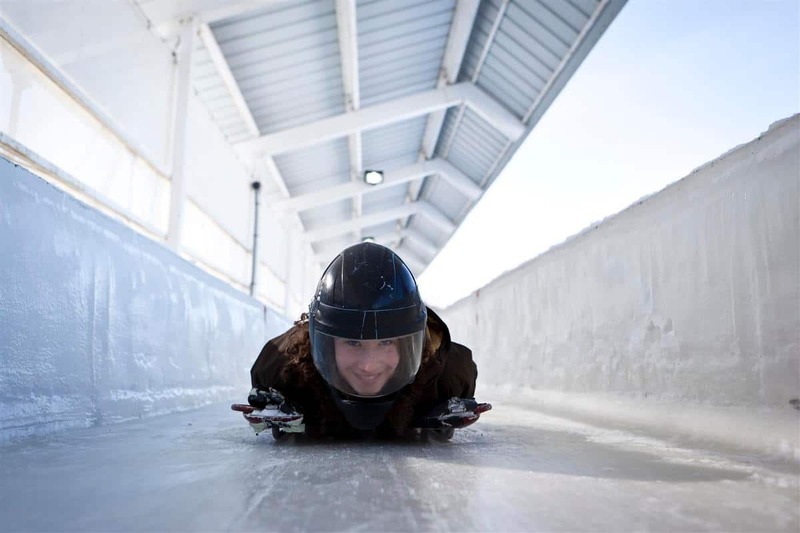 Seven miles southeast of Lake Placid, at the base of Mount Van Hoevenberg, you’ll find 50 km of groomed cross-country trails, bobsled runs, and biathlon courses. 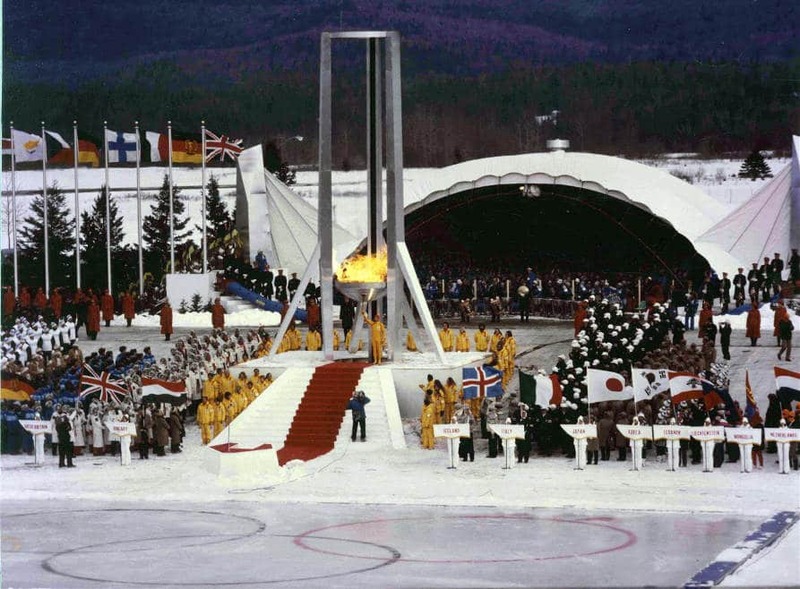 Most of the facilities were used during the 1980 Winter Games. Beginner cross country trails are from 0.3 to 1.5 miles long and take 10 to 30 minutes. Intermediate and advanced trails up to nine miles long are also available. The trails wind through the dense forests in the foothills with views of snow covered mountains. A full-day pass is $12–$20, under 6 free, 9 a.m.–4 p.m., Route 73 South, 518-523-2811. Back in the village, the outdoor Olympic Oval speed skating rink, where Eric Heiden blew us all away in 1980, is open during the winter season. Right in front of Lake Placid High School, this outdoor rink offers skate rentals for $6 and a fire pit in the center to warm up. Admission is $5–$8 for two-hour sessions, open December – March as weather allows. Thu, Fri, and Mon public speed skating 4–6 p.m., public regular skating 7–9 p.m.; Sat–Sun and holidays public speed skating 10 a.m.–noon and 4–6 p.m., public regular skating 1–3 p.m., 4–6 p.m. (cordoned off from the speed skaters), and 7–9 p.m., 518-523-2445. Before this never-ending Eastern winter really does call it quits, have some fun in Lake Placid. Your flight over the mountains will be beautiful, your family will love the little village, and, you can get as big an adrenalin rush as you’d like, between the slopes, the bobsled, and the skeleton. Before you know it, summer will be here, so enjoy this last blast of winter!